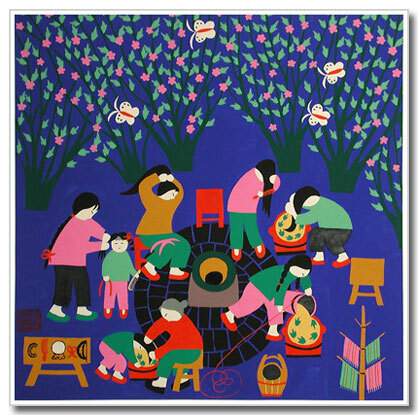 Description: Under the Chinese honey locust trees, women and girls are shampooing their hair, using the well water and the Chinese honey locust leaves. Granny is shampooing her granddaughter's hair. Mom unties her daughter's hair. The fragrance attracts butterflies, they are flying among the trees. 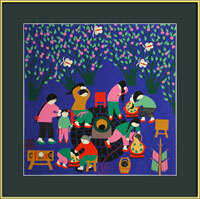 The chop of the artist is at the lower left corner of the painting.